Pier Salvador was a comfortable place to catch up after our Atlantic crossing, with the luxury of shore power and a good wifi connection. We managed to catch up on a bit of maintenance and fix a few things - some on the "to do" list and others that rose to the top. Paul had another go at wiring up the alternators, then one of the toilet pumps needed a service, and so on. It began to feel like home. After two weeks it was time to move on. Pier Salvador - the landward side . . .
Pier Salvador has an interesting history. 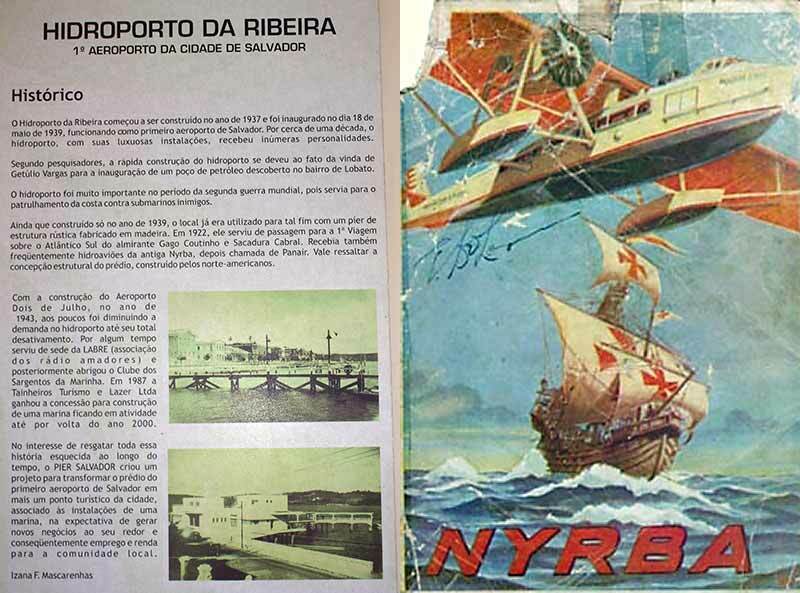 It was built as a sea plane port (Hidroporto in Portuguese) by the Americans for use in the second world war. It's owned by the government and is a protected building but they are not very good at maintaining it. There is a potted history in the marina office . . . and we found a flying boat poster - but surely they were being a little unfair to the competition! 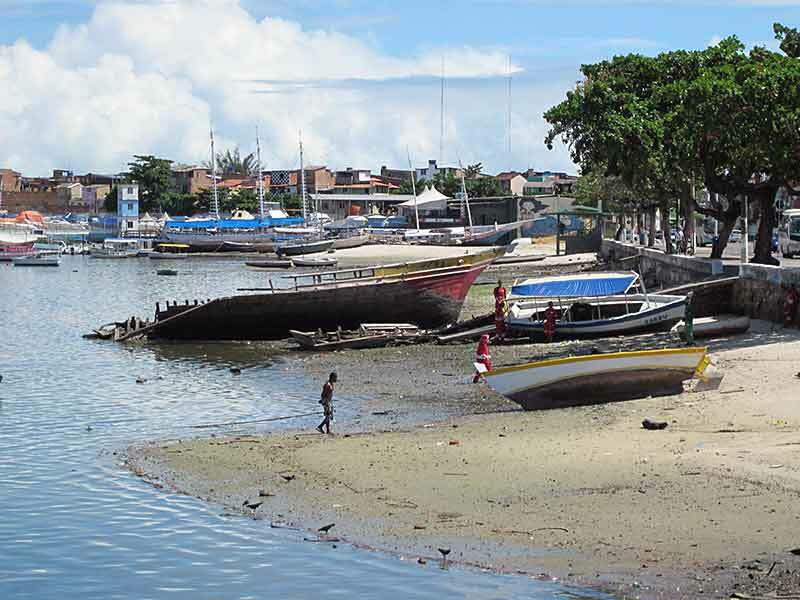 Building of the Hydroport of Ribeira started in 1937 and it was inaugurated on May 18, 1939, serving as the first airport of Salvador. For about a decade, the hydroport, with its luxurious installations, received numerous personalities. According to researchers, the rapid construction of the hydroport was because of the visit of President Getulio Vargas for the inauguration of an oil well in the neighborhood of Lobato. The hydroport was very important during World War II; it served for patrolling the coast against enemy submarines. Although only built in 1939, the site was previously used for this purpose with a rustic pier structure made ​​of wood. In 1922, it served as the destination for the first aerial crossing of the South Atlantic, by Captain Cabral and Admiral Gago Coutinho. It also often received the former NYRBA (New York, Rio and Buenos Aires Airline) then called Panair. It is worth noting the structural design of the building, built by Americans. With the construction of the 2nd July Airport, in 1943, demand at the hydroport gradually decreased until its total deactivation. 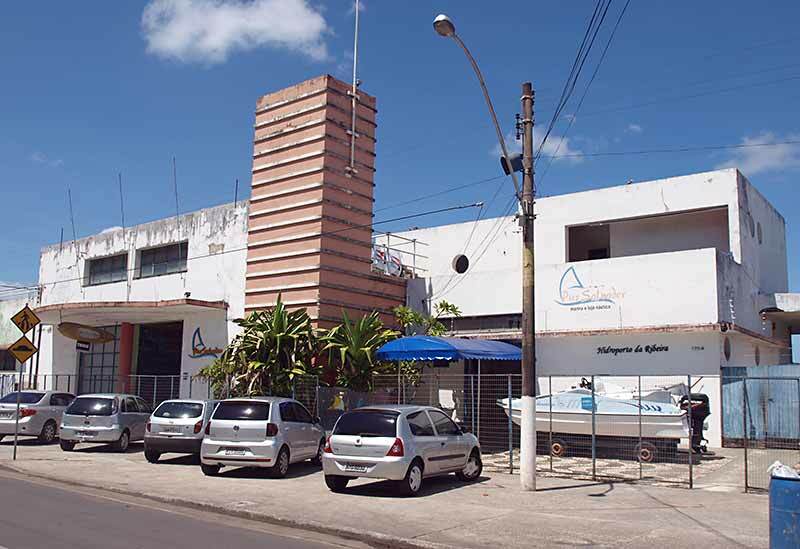 For some time it served as the headquarters of LABRE (association of radio amateurs) and later housed the Club of Marine Sergeants. 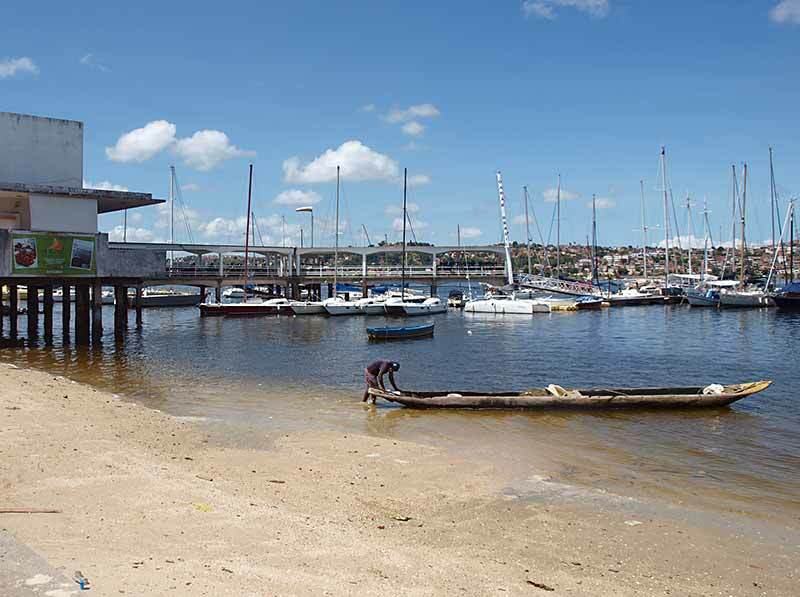 In 1987 Tainheiros Tourism and Leisure Ltd won the concession for construction of a marina which was active until around the year 2000. In the interest of rescuing all that history forgotten over time, a project was created to transform this first airport of Salvador into one more touristic attraction in the city, associated with the installations of a marina, hoping to generate new business and consequently employment and income for the local community. We got to know Ribeira quite well. It's is a scruffy area with numerous old buildings that have fallen into disrepair, though some are showing signs of being earmarked for renovation. The people are very friendly and the group of pizzarias and ice cream parlours not far from the bus station is very popular at night with visitors who also come to enjoy the long beach running along the west side of the peninsula. We enjoyed going out in the evening to mingle with the crowds but have probably had enough Brazilian pizza - made with potato flour dough - for the time being. No one speaks English so our Portuguese is improving bit by bit. Salvador has two very different characters. 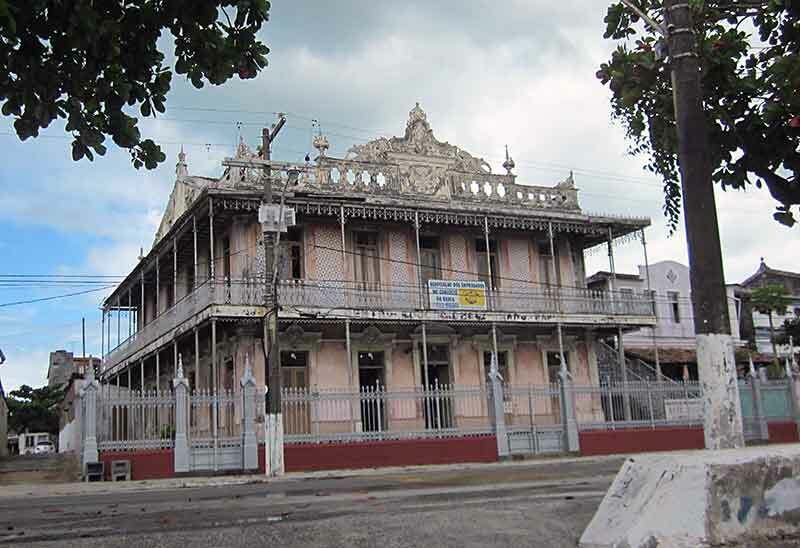 The west side is a scruffy mix of old and new with derelict colonial buildings in between newer buildings that are often very rough and ready. The electricity supply is a mass of wires strung from pole to pole but it seems to work and the city is well lit at night. The streets are cleaned regularly and the bus sysem works well. You pay a flat fare of 2.80 Riais or 3.00 (£1) for an air-conditioned bus. One day we took a bus from the centre for a tour of the south and eastern areas of the city. Here you see modern, middle-class Salvador with pristine leafy streets, indoor shopping centres, high rise apartment and hotel blocks. On Good Friday Sandoval took us to his house in a posh area near the east coast and then for a very nice lunch at his Club. On the way he showed us the overground metro line that was built at great expense but lies idle. The trains are sitting in a yard somewhere but have never been used. No one seems to know why. 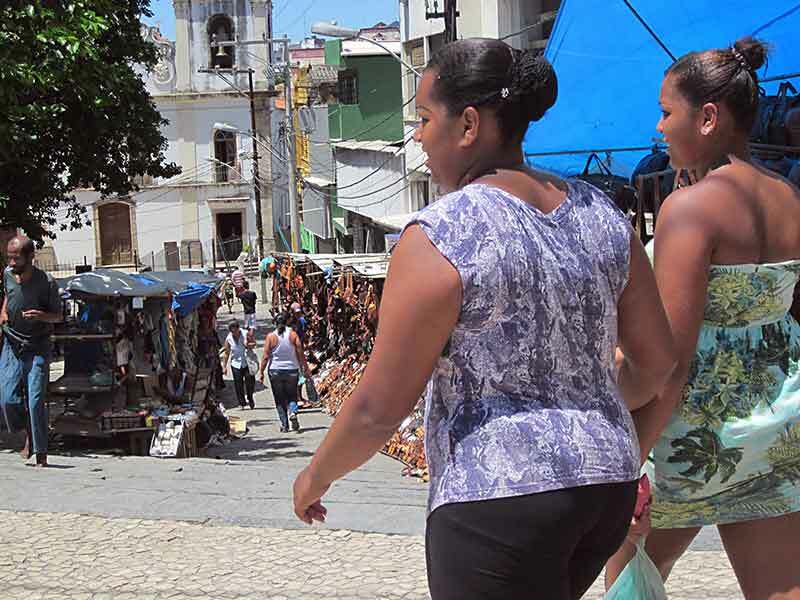 Salvador has a reputation for crime and the city centre is well policed but even so you have to take care. We were walking along a street not far from the old parts in the middle of the day and saw a man pick-pocketed just yards ahead of us. The young thief was standing on a street corner and timed his attack so that he could make his escape down a side street after lifting the wallet from the elderly man's pocket. The man was a bit shaken but then put his hand into his other pocket to reassure himself he still had some cash, shrugged his shoulders and walked on. Before leaving Salvador we had to make another trip to the Captain of Ports and Immigration. We made the mistake of going to the Captain of Ports first, only to be told we had to do Immigration first. When we returned our officious guard was on duty. Not content with us wearing all the right gear, this time he told us to take off our sunhats! The contrast with the dress habits of the local people couldn't be greater. On the buses, anything goes: shape and size don't matter. Armed with a bit of paper allowing us to move on to the next state we said goodbye to Pier Salvador on Wednesday and sailed just 13 miles west to the island of Itaparica. The anchorage here is a favourite for cruisers and we're with about 10 other foreign yachts here, though we're the only British one. We've already had visits from a couple of yachts' crews who recognize us from either the Canaries or Cape Verdes. We plan to stay here a couple of days. Already the hull is getting a lot of weed growth so we need to go swimming, and perhaps we'll fire up the new hookah. (surface demand diving kit).